Manufacturing execution systems and enterprise resource planning applications have been helping manufacturers be more efficient for decades. However, each of the two systems has its own pitfalls, which are easily covered by their counterpart. This has experts wondering what would happen if MES were combined with ERP, or even an MRP system. Integrating all of the necessary features and functions of both systems could create the best manufacturing processes we’ve seen yet. Here are some of the potential benefits of this integration. Having enough materials incoming to make products is obviously a critical need for manufacturers. Managing the supply chain can be difficult if you don’t have enough details about how the manufacturing process is operating at any given moment. The integration of MES and ERP would be able to give managers a clear view of where a particular product stands in the process at all times. This would allow for better forecasting, distribution, production and better overall business decisions. The integration would prevent late arrivals for materials, which would have a trickle down effect to customers and overall business success. Managing all resources in a manufacturing plant is vital to becoming more efficient. The resources range from actual materials to machines and even the people working the machines. No matter if your company is using MES, ERP or MRP, keeping track of resources is the only way to maintain efficiency. The integration of MES and ERP would help plant managers analyze flaws anywhere in the process and improve workflow at any given location. You would have the ability to view historical data, current data and future projections in order to manage resources more accurately. The management of resources will help streamline the manufacturing process, which will benefit business at every stage. The overall goal of every manufacturing company is to create an efficient machine. Whether that means integrating processes or systems, improved scheduling or anything else, efficiency means more profits. Integrating MES and ERP will give managers complete control over the entire manufacturing process, so they can focus on smaller areas to recognize and fix bottlenecks and enhance workflow. Without this integration, some flaws could be overlooked, simply because managers don’t have the proper resources to identify the issues. 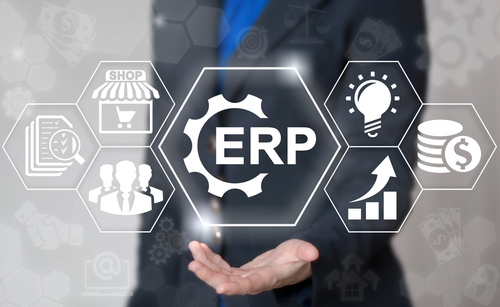 MES and ERP systems have generally stood alone over the years because they perform different functions. However, they are different enough to be able to create a nearly perfect system if integrated. For more ideas on how this is possible and whether it will ever occur in the future, feel free to contact us.